Size: approx. 5 mm. Photo: 04/28/18, 11 am. 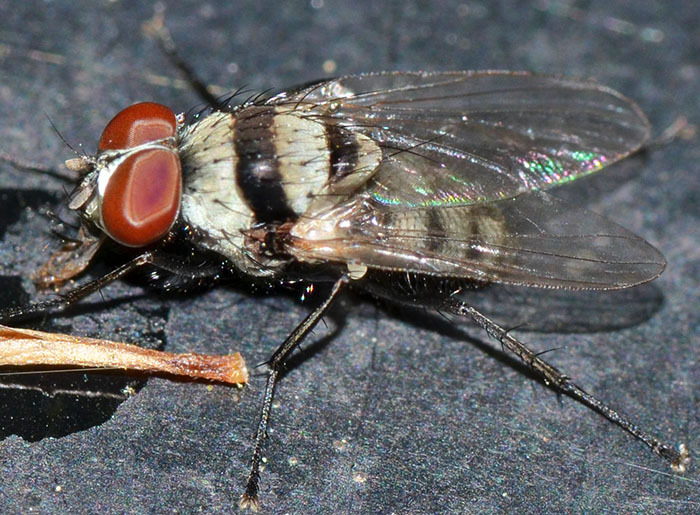 This root-maggot fly was introduced from Asia not too long ago, possibly to Florida. While it looks similar to a common small housefly, it has a nearly uniformly broad transverse stripe.